Wow – it was another busy week! Monday was a rest day, and I just hung out won the couch with the husband watching OITNB. Tuesday I ran during a work break over on the LFP – it was crazy windy and was fun to hear/watch the waves, though some were coming so far up on the path I thought they might drag me into the lake with them. At night I had #bibchat, so the husband and I packed some sandwiches for dinner and went to a local brewery to grab a drink and I chatted from there while he did some reading. Wednesday was a more relaxing day, I did a few strength exercises for my arms, and then house cleaning and more OITNB. Tuesday run on the Lakefront. Thursday after work I went to a wedding rehearsal dinner – my husband was standing up in the wedding. After the church rehearsal, we headed to dinner at an Italian restaurant with family/wedding party and had a great time chatting and eating pizza. Yum. Friday night was spent packing for the wedding and more hanging out. to see the Chicago Marathon window display! Saturday I had attempted my 5.5 mile run. I was so proud because I woke up 6 to get this done (not an easy feat for me, especially knowing it would be a long day and late night). Unfortunately, the weather was not cooperating. I got outside and realized how cold and windy it actually was, but I kept moving. I was quite glad I had brought gloves, but really wished I had a gaitor for my face and a hat. Almost immediately it started to drizzle, and it was practically ice! Buurrrr. Anyway, as you can see from above, I cut the run short. I was freezing and could feel a cold coming on if I stayed out there much longer. I had a long day ahead of me and wanted to be able to last. It took a while to warm up once I got home and showered. Then it was time to head to the church. The husband had to be at the church up north at 12:45, and since he would be on the trolley for the day, I just went with then so there wouldn't be two cars to deal with. After the wedding ceremony I headed to the hotel about an hour away. Traffic was miserable, and it was rainy and so windy that the car was shaking, but I made it to the hotel with no incidents. Then I thought it was a good time to do my hair, which I rarely do. I brought a wand – basically it's a curling iron without the extra claspy thing that holds your hair on... you just wrap it around the ceramic wand. Annnnd... of course, I burnt myself. Ouch. It wasn't too bad, but it certainly left a mark that hurt. After eating a burger that a friend brought to my room, it was time to grab the shuttle to the reception. It was such a beautiful place, and it was decorated with a lot of cute touches the bride and groom came up with. I had a great time, but being on my feet almost all day, plus dancing the night away, heading to the bar after the reception ended and not getting to bed at 2am made me feeling quite nervous about my 15 run the next day. I was smart enough to drink water and not much alcohol during the night (1 1/2 glasses champagne and maybe half a beer), so I was happy not to have a hangover to deal with in the morning. After waking up, I showered, packed, and hit the road for some Panera. I got a sesame seed bagel with plain cream cheese and of course a large Green Iced Tea (if you follow me on twitter or instagram, you know I'm obsessed). After about an hour drive home (so glad my husband drove so I could rest the legs a bit), I got home, changed, got my gear ready, and headed out to my favorite running trail. I was pretty nervous about this run. Not only was it my first time running 15 miles, but it was coming off a very long day of being on my feet (and in heels!). I think that was more of a leg exhaustion than the 5.5 miles that were scheduled. Luckily, I felt pretty good most of the way! Hooray! What I wore: BibRave tech shirt, New Balance shorts, sunglasses, Nike visor, Sparky Soul headband, Nike sports bra, Brooks Running trail shoes (I don't know their exact style... that's bad, right? haha), Feetures Elite socks, Brooks rain jacket, Garmin Forerunner 220, Road ID wristband, Fitletic fuel belt, and Orangemud HydraQuiver Double Barrel. I took 20 ENERGYbits before I started, and then one Clif Shot Blok at mile 2, 5, 7, 9, 10, 11, 12, and 14. I wanted to take more ENERGYbits at mile 10, but I forgot to get them out of my backpack and didn't want to stop to dig through to find them, hence the amount of Shot Bloks consumed at the end there—I was getting hungry—ENERGYbits could have helped curb the hunger. I also tried out my Jabra Sport Wireless+. Unfortunately, it didn't go as well as it did on my three shorter runs (used them just the day before and they were fine). For some reason, I couldn't get the right one in my ear well. The sound and left ear were fine, but the right one just felt wrong. It wasn't falling out or anything, but it was annoying me. I had brought my Yurbuds just in case the Jabras ran out of battery, or if something was wrong, so at mile 3.5 I took a bathroom break and swapped my earphones. Normally I would have kept trying to fix the Jabras until I got them how I wanted, but I didn't want to waste any energy on that (along with frustration) that I could use, and need, for my run. I'll write more in detail what was going on when I write up my review: part two. I just need to fiddle with some different eargels for my right ear to find the perfect match. I think I need different ones for my left and right ears haha. Sad face for problems with fitting my Jabras on my ears. I wore my Zensah Compression Leg Sleeves, and am really glad I did. I had a bit of leg cramping/tightness towards the end. I know it would have felt much worse if I wasn't wearing those bad boys. They also kept my legs warm. 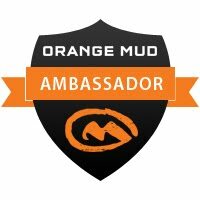 I also used my Orangemud HydraQuiver Double Barrel hydration pack – one bottle filled with Nuun Strawberry Lemonade and the other with water. I drank all of the Nuun and about half of the water. It was a bit windy and cold, especially when the sun wasn't out, so I brought a rain jacket and put that on around mile 12 to help cut the wind – it fits perfectly on the pack in the cord lock system. It was funny though, because I was wearing a short sleeved shirt (my BibRave one), shorts, and compression sleeves, while most others out were wearing long pants, long sleeve shirts and/or winter type jackets and ear warmers. It was such a difference in attire haha. I wasn't even cold during the run after about a mile, but could feel that my arms felt cold, if that makes sense, which is why I put on the jacket towards the end. My body felt pretty good the whole run – my arches gave me a few pangs here and there, but were generally pretty good. I was so happy to complete 15 miles! They were pretty slow, but considering the day I had previously, I was quite happy with the fact that I actually went AND did all 15 miles. I had about .25 miles till the end of the trail, so used that as a cool down walk. I brought a Hoist Strawberry Lemonade and left it in a cooler in the car, so drank that on my way home. You'll find out why I love it so much in a recap coming this week :) (here's a sneak preview: it's isotonic, so hydrates faster than other sports drinks, and it tastes great!). What my recovery looked like. This morning I woke up with very little aches/pains and no headahces or signs of dehydration – I really think the Nuun on my run and the Hoist after helped keep me from getting my usual signs. Awesome. I thank Zensah for keeping my legs happy, even the day after when I usually feel sore, I don't. Regular and Ultra for the win! I'll write up a Hoist and Zensah Ultra Compression Sleeve review eventually, but need to test them out some more :) Thanks to Hoist, Zensah, and BibRave for being awesome and sending me these amazing products to try out!! Coming up this week: It's a tame week in training for me, but I'm super excited to meet up with folks running the marathon for a shakeout run on Saturday morning being hosted by Justin and BibRave. 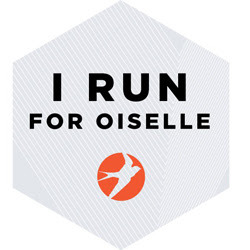 I'm also headed to cheer on the marathoners and will be at mile 11.5 on the south west corner of Erie and Wells – if you're running, keep an eye out for the orange. Scheduled to be there between 8 and 10 :) FYI - I plan on sticking around till I see all of my friends/family pass, but think the BibRave signs will be gone around 10.